Rise of the Tomb Raider: Lara Croft in new adventures. Events in which players participated in the previous ninth of Tomb Raider, continues the tenth part of the action adventure with leading heroine Lara Croft. Game Rise of the Tomb Raider in the year 2014 after the announcement, 13. eleven. 2015 became available for Xbox 360 with Xbox One. Some hurried to be offended by the developers, who cannot enjoy the adventures now, but company representatives rush to reassure the owners of PlayStation 4 and Windows, ensuring that the PC can download Rise of the Tomb Raider from the beginning of the year 2016, but for PlayStation 4 it will be available to the end of 2016. .The appearance of the Tomb Raider — forward through the snowstorms. This time the famous treasure hunter brought to Siberia. Now her way lies in the city of Kitezh "Russian Atlantis", where the secret of eternal youth and life is hidden. The heroine travels with a partner Jonah Mayawa. adventures are plagued with dangers and obstacles, meetings with Trinity agents, as well as wild animals and natural disasters. Hunting and movement slow snow blizzards, frost and fog. It is necessary to study the habits of animals in order not to fall into the paws of a ferocious bear or a wolf, and successfully obtain food. Different inhabitants of the harsh region come out only in a certain part of the day, and with the onset of a snowstorm they hide along burrows. Lara can survive using available tools. Collecting minerals, plants, skins, she turns them into clothing and medicinal drugs. Other artifacts will serve for traps, the construction of bows, lasso, poisonous arrows. The main enemy of the heroine is the harsh nature. A snow storm or an avalanche may suddenly start here. She paves the way through the high snow drifts, deftly climbs trees, swims well and runs fast. These qualities will help to survive, but in cold climates it is important to find the source of heat, and this is also part of the task. Lara's clothes are gradually becoming unusable soiled and torn, and she needs materials to make a new one. But the most difficult thing will begin when you have to solve multistage puzzles based on the laws of physics or decipher ancient graffiti. Run, swim, jump, climb, etc. d.
Many players can't wait to download the Rise of the Tomb Raider, and go to conquer Siberia. While Rise of the Tomb Raider on the PC is just getting ready for the release, you can enjoy watching the commercials. 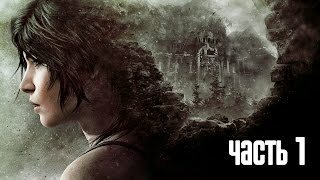 Lara miraculously survives the shelling, falls off a cliff, clambers up, finds a secret maze and writing on the stone walls, opens a passage to the ruins of the old city, is exposed to new dangers and traps, but makes amazing discoveries. And of course, at the decisive moment, armed rivals attack her, and a shootout begins. 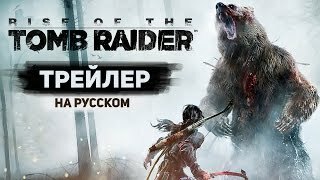 Skoro you can buy Rise of the Tomb Raider, and the three additions that the company is already preparing to release, for holders of a seasonal pass will be free. From the debut trailer, it is clear that the heroine of Rice of Tomb Ryder will meet the fabulous Baba Yaga. Surely she has a lot of shocking dating, and we look forward to them with impatience.